Learn More index — Spectacle Inc.
Nucleus™ holds 10,000 hermetically sealed glass ampules of Visionary individuals. Engraved with your name, and storing your hair, the ampule enables you to transcend your existence. 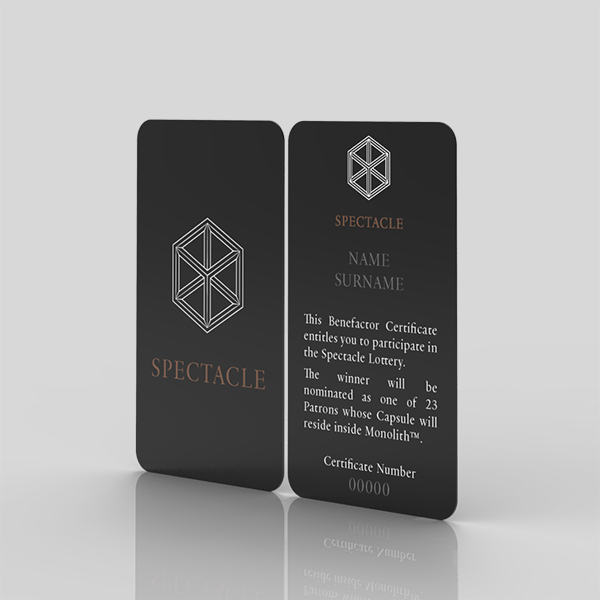 Your name will be featured in the Spectacle Visionary List. Nucleus™ will be engraved with the names of 23,000 Sponsors, who will also be featured on the Spectacle Sponsor List. 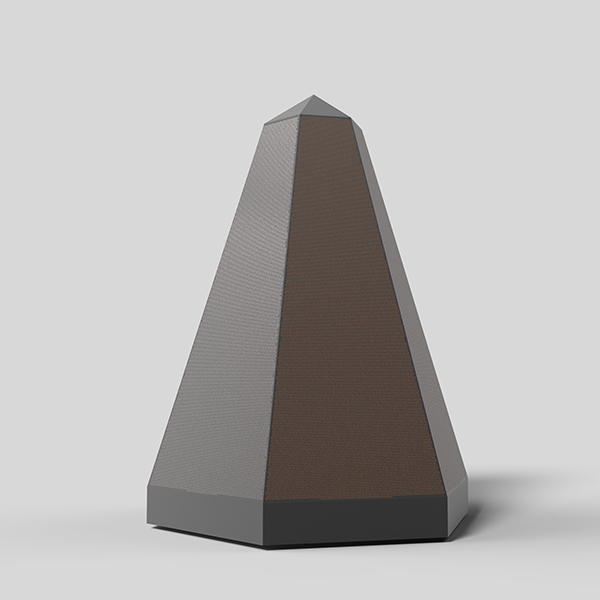 By become part of the monumental legacy that Monolith™ represents your name will continue to resonate throughout the ages. Spectacle Inc. is a registered 501(c)(3) nonprofit corporation dedicated to building Monolith™. Your contribution to the Monolith™ Lottery will count as tax deductible donation. The capsule carries the individual ampule storing your hair stand that contains your ultimate DNA signature.